Yes been a pleasure racing in this league with all of you, will save some special mentions for after the race, but do want to give a massive shout out to @Chris Leather. Not sure if you guys look at other threads on XB1, I do! We are so lucky to have a coordinator that keeps everything together. F7 has been the second most active thread on XB1 with 800 entries at present, and to my knowledge, Chris has always keep the leader boards updated within 12hrs of a final stewards enquiry decision, sometimes updates even before. This has not been the case for other AOR leagues. Chris always messages us and keeps us in the loop, and if you haven’t visited his channel, you can’t beat live commentary as he records all F7 Full qualifying and races. Thank you for the lovely words @EditedFaun3698 ! I have always tried my best to keep the league running as smoothly as i can. I hope everyone has enjoyed this season as much as me. Its been a pleasure to coordinate you all. The racing standards have been top notch from everyone! I echo Faun's word. Well everyone's words about Chris you been great. The best tier was us. @EditedFaun3698 huge congrats on the title, you fully deserved it and loved racing with you again! @LC SPEED DEMON we've been going at each other for a while now, I think it's my turn to beat you next season and as always have so much respect for you and absolutely love our on track battles, always fair but tough! We will have you next time @Briggsy and @TchoukMaster22 !! Congrats lads! Been a fun one boys, enjoyed the battling at the start of the season when I was on the pace and my internet was actually working, hopefully see you guys next season but if not then good luck for whatever tier you are in. GG TO Regulars all season. Well done @TchoukMaster22 + @Briggsy team champs. Great season guys, obviously my best season to date after winning the championship. @TchoukMaster22 , great meeting you mate, expecting big things in the future for whatever you do, iv been in the online F1 community for years and have never known it to be so prevalent with so many doors and opportunities for you kids, followed Matty G from back in the day and expect great things for you, good luck for the future. @Allan McIntosh really enjoyed first part of the season battling, hope your internet is sorted for next season. 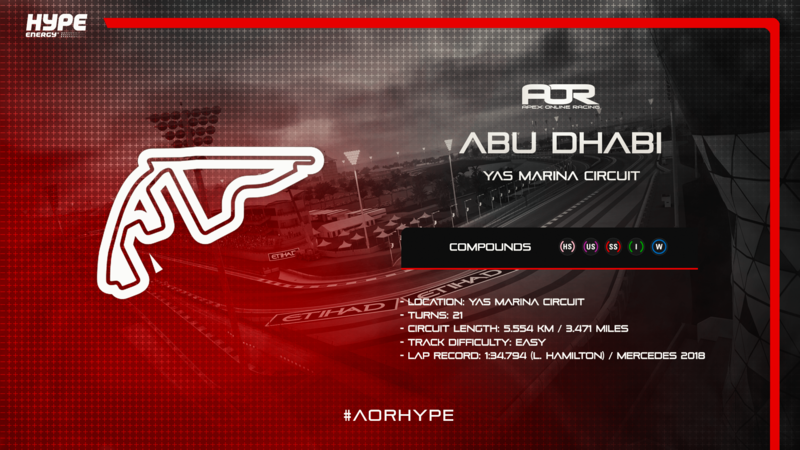 @Rob | PePsii along with LC, I think you should’ve been my greatest rival and quite happy you didn’t show up for a few races, otherwise this championship could’ve been different, congrats again for your great news. Only my second ever League championship, gotta say @EVERYONE has made this such a great league to race in. The turn out every week, the pace and how the show was run has been impeccable. Just makes me so happy to see other people out there who are passionate about this competition we all love. A lot of respect guys. See you on the grid in Australia!! Great race last night to end the season well done to @K04 great drive. Again thanks to everyone for a great season and pretty much every race was awesome. @Chris Leather thanks for looking after us and being a top teammate. Good luck to everyone in the future and I hope to be seeing most of you on the grid again soon. @EditedFaun3698 , congrats on the title throughly deserved for your performances this season. although i was extremely annoyed after qualifying, you were what 0.0xx quicker on the harder tyres... i dare say you are in the wrong league enjoyed our race long battle, perhaps could have been a touch more aggressive into turn 1, but after that i thought you were going to walk away with the race so i was pretty happy to catch you back up and pass and then manage to stay ahead, it was probably my best race this season but i knew 1 mistake and you'd be passed me.